If you love to swipe and collect awesome things, then this game was made for you. 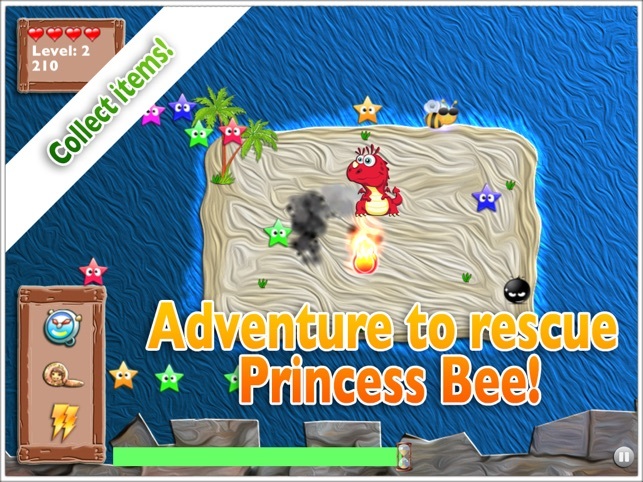 It's an HD VERSION of Mega Bee specifically for iPad, a challenging fast paced arcade game at heart with a twist of serious adventure. Play as a variety of different bees including Princess Bee, Messy Bee, Safari Bee and even earn a Pirate eye patch for your bee! 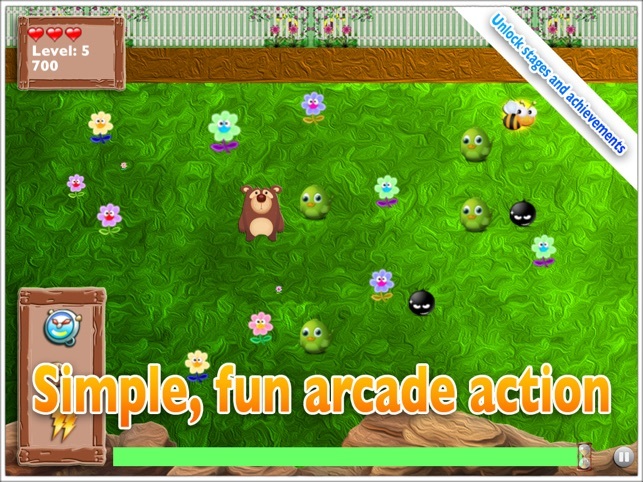 Swipe your Bee around the screen to collect flowers, ice cream cones, cupcakes, eggs, raindrops and other surprises. Collect multiple items of the same color in a row to earn extra points! 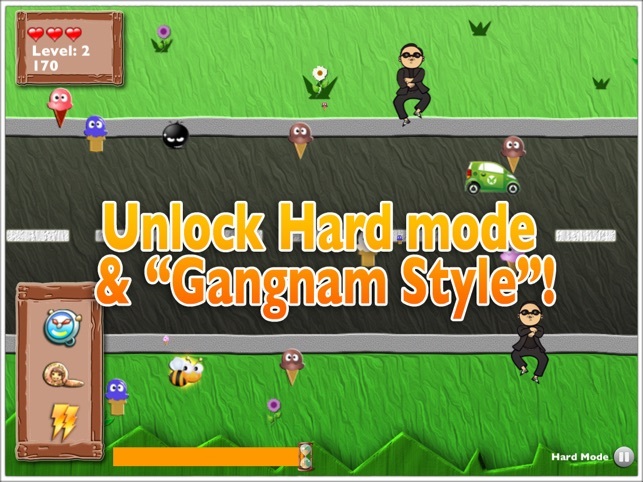 This HD version features even more levels and a hard mode with “GANGNAM STYLE” Easter Egg! 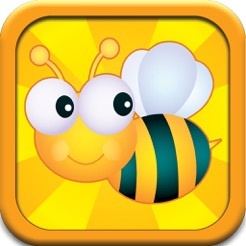 Mega Bee will keep you entertained with new challenges! 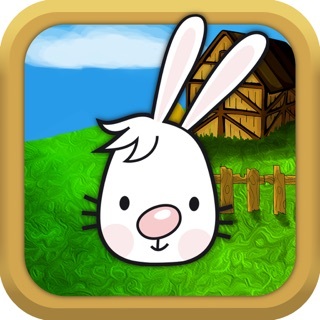 ● Simple fast-paced, swiping collection gameplay. ● Suitable for ALL ages & Retina display ready. 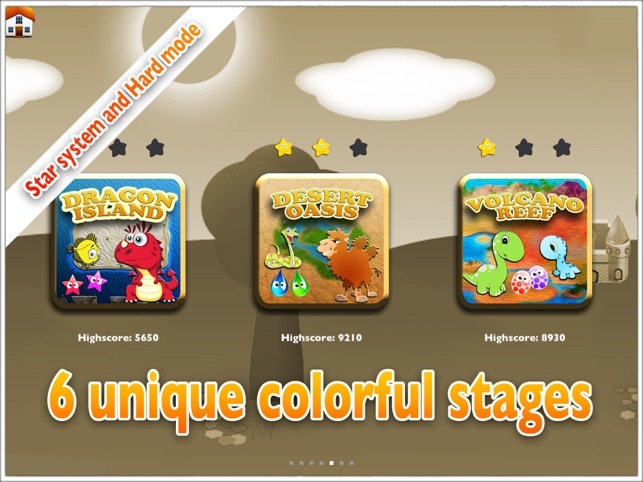 ● Game Center Leaderboards for every stage. ● No game is ever the same! ENDLESS FUN! All the while enjoying funky and retro upbeat tunes. ● Find adorable character bees, flowers, bears, lollipop men, ghosts, spiders, birds, fish, dinosaurs, camels, dragons and more! TEST YOUR SKILLS vs YOUR FRIENDS TODAY! I think it is a fun and entertaining game. I am glad it is back and can't wait to tell my friends. My 8 year old son likes it. It's kind of like Fruit Ninja, but a little less violent. Happy boy = happy parent. This game is fun and weirdly addictive. Nice graphics!